Please fill out all the details on the page. A confirmation of your appointments will be emailed to you and we may use the phone number to contact you. 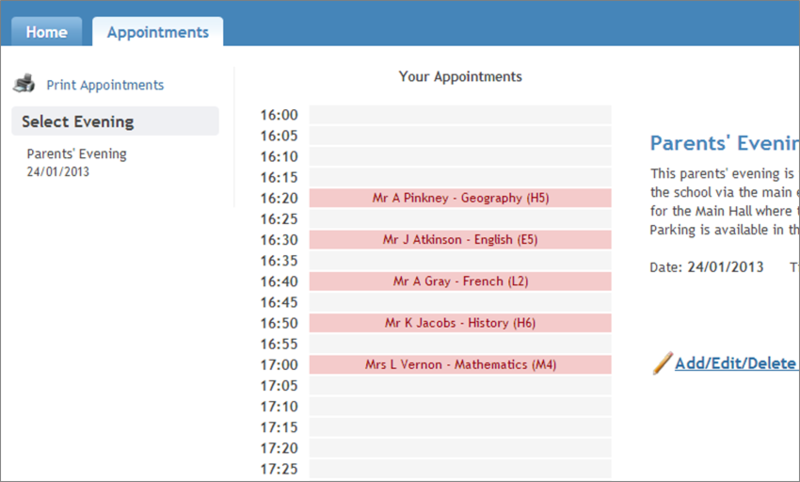 Click the green tick to select the parents’ evening you want to make appointments for. Your children’s teachers will appear. Ensure the teachers you wish to see are selected in green. 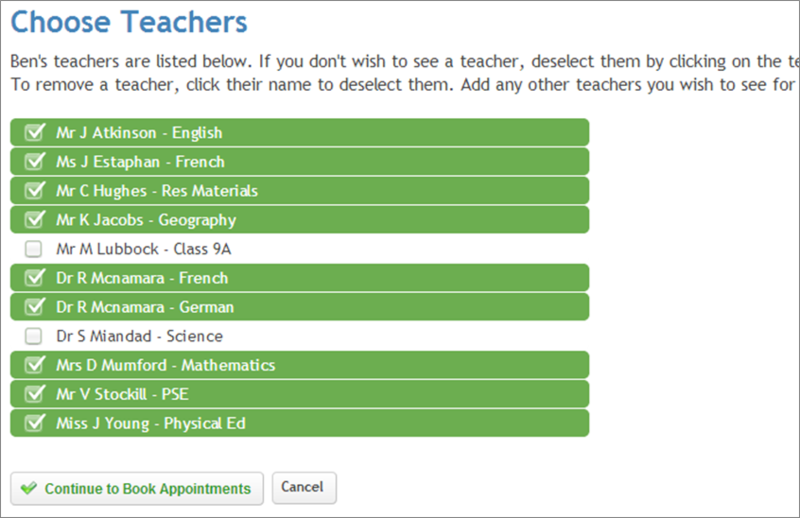 If you do not wish to see a teacher, click on their name to de-select them. 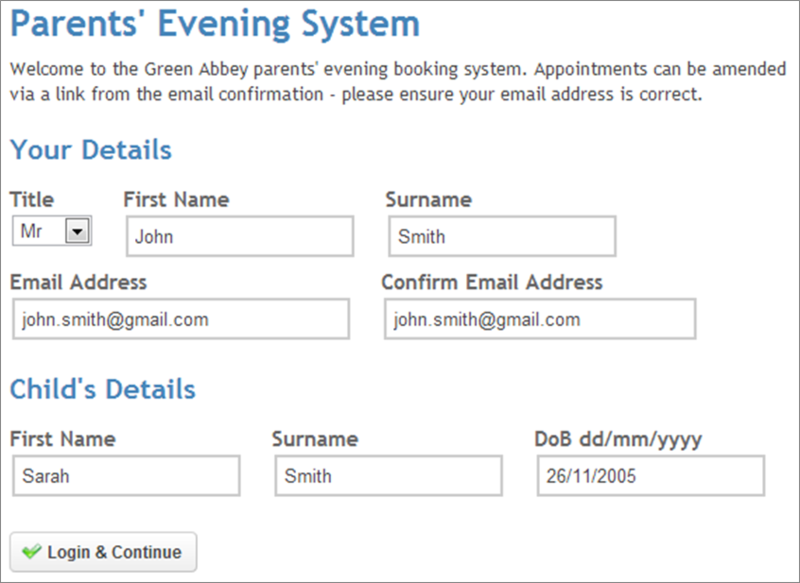 If you have another child to book into this parents’ evening, press the “Add another child” button, enter their details and then repeat this step. Click on the Continue button to proceed. 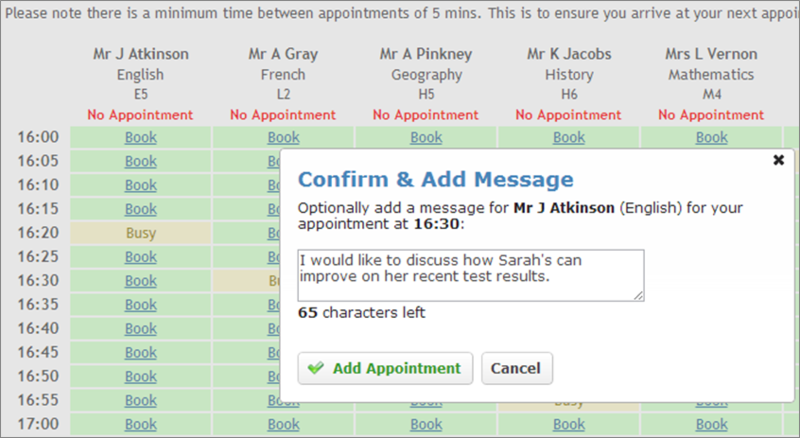 Click ‘Book’ to make your appointment with the teacher for the time you wish. Repeat this for all the teachers you wish to see. After you have finished booking all your appointments, click on “click here” in the yellow box at the top of the page to send the confirmation email. 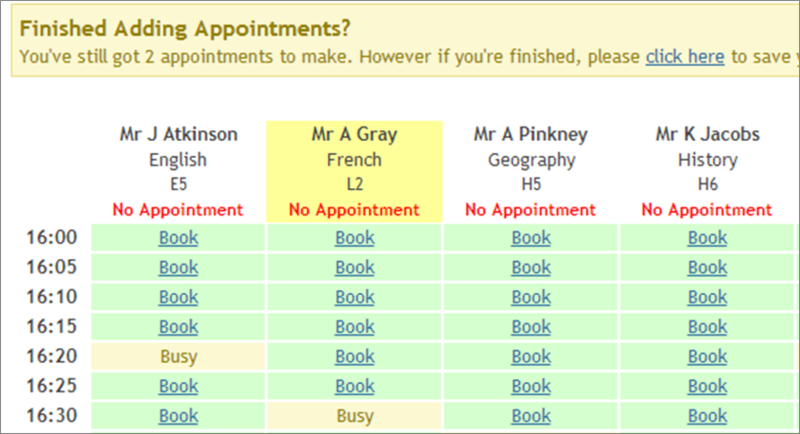 Click ‘Book’ to make your appointment with the teacher for the time you wish. Optionally enter a short note to the teacher to help structure the appointment. Repeat this for all the teachers you wish to see. After you have finished making appointments, click on “click here” in the yellow box at the top of the page to send the confirmation email. You will receive an email confirmation of your appointments. Please print this out and bring with you to the parents’ evening. To send the school feedback about this system, click on “Send Feedback”. You can also view and print your appointments online by clicking the “Appointments” tab. Please bring a print out of your appointment times to the parents’ evening. You can change your appointments by clicking on “Add/Edit/Delete Appointments”. There is a link at the bottom of the confirmation email which logs you back into the system.